NY Post reports that Aaron Hernandez’s defense for the double murder is marijuana. Boston Herald columnist Bob McGovern claims that one of the xperts that might be called to testify will discuss the impact of “ingesting marijuana” and if there is any violent connections. 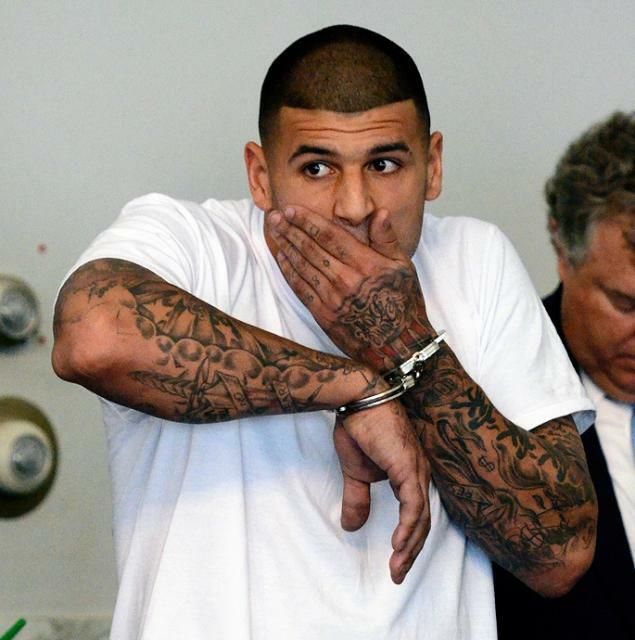 Hernandez did smoke marijuana prior to the murder of Odin Lloyd in 2013. Lloyd was known to be Hernandez’s source for marijuana. His new defense team, which is led by Jose Baez who got Casey Anthony off, will use excessive pot use was a factor in the double murder in 2012. They also want to use the fact that prosecutors have no forensic evidence or eyewitness’ in the drive-by shooting.